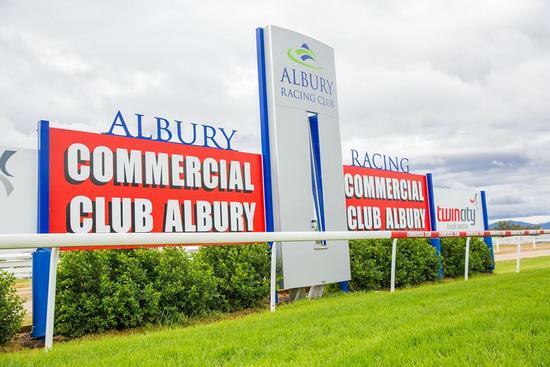 The Springdale Heights Tavern open handicap over 1400m will see two stable runners in Cash Crisis and Hot Ruby compete on the Albury race card with showers currently present racing on a heavy 10. Cash Crisis will be joined by Lewis German jumping from barrier eight & Hot Ruby will be joined by Corey Parish jumping from barrier seven with a field of 11 to compete. Last start 8th of 16 starters at Sandown-Lakeside (Bm78) May 26 over 1200m, on slow going 4-1/4 len behind Highland Beat with 55kg. The run before that hampered near 200m; came from midfield; 9th of 16 starters at Wagga Town Plate May 3 over 1200m, 3-3/4 len behind Coolring with 54kg. 2kg claim used to good effect. Freshened for 40 days. Last outing lame after race; always towards the rear ran last at Sandown-Hillside (Bm70) May 9 over 1800m, 17-3/4 len behind Laughing Heir with 59kg. The run before that 3 wide; 13th of 14 starters at Flemington 3yo+ F&M (Bm84) Apr 25 over 1620m, 12-1/2 len behind Sebring Dream carrying 55.5kg. The BP Air Services benchmark 64 handicap over 1600m will see Makfi Lass saddle up under Josh Richards with the combination competing from barrier 6 at this stage there is a field of 13 to compete. Last start overraced early, middle stages and inquiry into performance; came from midfield; 10th of 14 starters at this track Hcp (C3) May 29 over 1600m, slow track; 15-1/4 len behind Squidensquizz carrying 56.5kg. The run before that won by 1 len Wodonga Hcp (58) May 19 over 1590m defeating Riverlea Honours carrying 56kg.